Incepted in the year 1989 at Salem (Tamil Nadu, India), we, "Rathore Exim", are actively engaged in Manufacturing and Exporting a wide range of Fabric Collection. 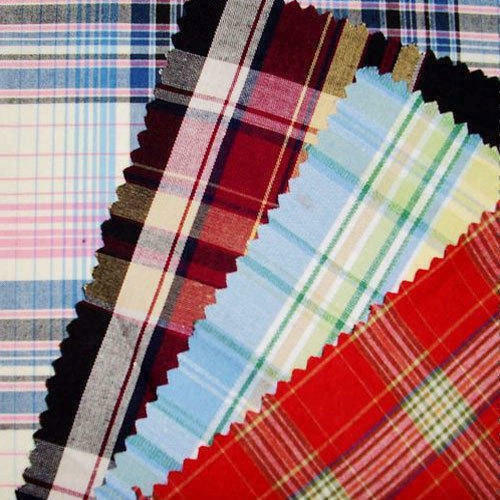 In our product range, we provide Cotton Fabrics, Woven Fabrics, Check Fabrics, etc. These products are fabricated using 100% cotton procured from the most reliable vendors in the industry. We offer this range in vivid options of styles, patterns, prints and color combinations. These products are known for their water resistance, wear & tear resistance, long life, designs, sizes, color combinations, patterns, and cost-effectiveness. Our professionals are very concerned about quality and our qualified quality controllers ensure that every business operation is carried out in accordance with industrial specifications. We have sister concern relations with some of the reputed organizations like Vishal Exports and South India Cotton Mill.